After having visited Robben Island and the V&A waterfront in the morning, the Signal Hill along with the Company Gardens in the afternoon and we were scheduled to go for dinner back to the V&A waterfront. We decided to go to Century City, which is situated just 10 minutes from Cape Towns’ central business district and less than 20 minutes from the Cape Town International airport. Century City is a city within a city boasting of world class shopping and entertainment facilities. Its showcase retail centre is undoubtedly Canal Walk which is where we headed. Canal Walk is a shopper’s paradise with more than 380 retail outlets under one roof and one of Cape Towns’ premier retail centres. 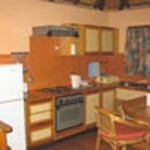 It is an ideal place for both, the discerning buyer as well as those looking for a bargain. Not too far from Canal Walk is the Ratanga junction theme park .For the shopaholics a visit to the Canal Walk is a must. It is an ideal place to pick up shopping curios from places like Afri-Bizarre which is an African themed mall brimming with high quality merchandise. You also have the indoor grand prix Karting as well as the MTN Science Centre, the Great Escape game arcade and much more. It is something similar to the High Street Phoenix Mills that you have here in Mumbai. 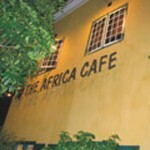 We headed to the V&A waterfront to enjoy some jazz music and fine cuisine at the Manenberg Jazz Café. It quickly became the foremost live music venue of the city, featuring South Africa’s top musicians like Hugh Masekela, Jonas Gwangwa, Bayete featuring Robbie Jansen – South Africa’s foremost exponent of Cape Jazz and many others. Manenberg’s Jazz Cafe is known as a premier live jazz and African music venue in the city. Located at the Clock Tower precinct of the V&A waterfront, it is one of the many fine restaurants where you can enjoy delectable cuisine in an ambience which brings out the flavour of South Africa. Day ten was as exciting as day nine as we would be covering a lot of distance starting from the city of Cape Town and driving along the Atlantic Coast to reach Sandy Bay and the fishing village of HoutBay before heading to Cape Point – the southernmost region of the African continent and thereafter crossing the colourful naval base of Simons Town along with the Historical Cape of Good Hope Reserve. Then onwards to Fish Hoek along the Indian Ocean before heading back to Cape Town along the False Bay Coastline and not forgetting our halt at Boulder’s Bay to see the Penguin Colony. We would also visit the Kirstenbosch Botanical Garden. We started our day after breakfast and after a scenic drive along Sandy Bay we had our first stop at Hout Bay to take the glass bottomed boat to Duiker Island to spend some time with the Seals. 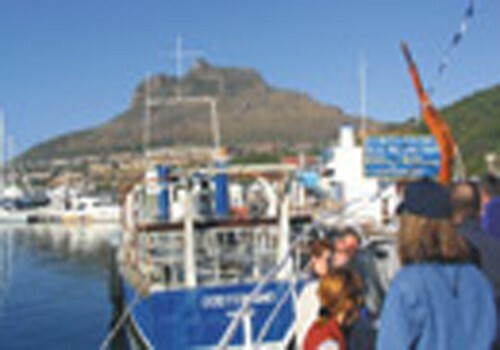 Hout Bay is one of the most picturesque seaside villages along the Cape Peninsula. About 15 to 20 minutes from the harbour you arrive in this 82 foot long boat which has a glass bottom to view the abundant sea life into the area known as Duiker Island where the depth of water is approximately between 4 to 7 metres. The Duiker Island is where you find a large colony of the Cape Fur Seal and there are thousands of seals that you may find at any given time. The Cape Fur Seal are indigenous to Southern Africa and breed along the coast of Namibia and South Africa. After our encounter with the seals we headed towards Chapmans Bay in one of the most picturesque drives known as the Chapman’s Peak Drive. The mountain consists of a flat lying succession of stratified sedimentary rock belonging to the Table Mountain group resting on the gently sloping surface of a solid base composed of Cape Granite. After crossing the Chapmans Peak we arrived at the Cape Peninsular National Park region heading towards the Cape of Good Hope. The Cape Peninsular National Park lies at the southerly tip of Africa encompassing the scenic Peninsula mountain chain stretching from Signal Hill in the north to Cape Point in the south, a distance of almost 60 kilometres. The Cape Floral Kingdom of which the Cape Point National park forms a significant part, is recognized as the world’s most prominent ‘hot-spot’ of plant diversity with more than 2285 species of plants. It is one of the many World Heritage sites of this lovely country rich in diversity, flora and fauna.The dramatic Point itself is the highlight for visitors with some of the highest sea cliffs in the world and you can take the funicular up or walk to the old lighthouse and for those who are reasonably fit one should walk down from Cape Point to experience some of the breathtaking views. The walk in the clouds is as if you are getting close to heaven itself and a must see for any travel explorer anywhere in the world. The Cape of Good Hope is known as the Beacon of Hope and is situated at a junction of two of earth’s most contrasting water masses – the cold Benguela current on the West coast of the Atlantic Ocean and the warm Agulhas current on the East Coast of the Indian Ocean. It is the meeting of both these enormous water masses .The 40 kilometre coastline stretches from Schuster’s Bay in the west to the Smitswinkel Bay in the east. The cliffs at the southern point tower over 200 metres above sea level dominated by the trio of Cape of Good Hope, Cape Maclear and Cape Point. The first ever lighthouse was constructed in 1860 and it still stands on the highest section of the peak and is now used as the centralized monitoring point for all the lighthouses on the coast of South Africa. There are many fascinating stories such as the Flying Dutchman, the Lusitania shipwreck and many more which form part of this historical site. From the car owners perspective, a drive to Cape Point is simply breathtaking. You come across a wide variety of animals en route, the most frequent ones being the baboon and the zebra besides the floral kingdom which is simply stunning. The only flip side of the entire trip was the ordinary cuisine served at the Two Oceans Restaurant, the only restaurant at Cape of Good Hope. It is one of the finest places to sit and enjoy your food with a spectacular view and although we all were quite hungry, the food was ordinary and the service was nothing less than pathetic. It was indeed shocking to see the indifferent service in spite of being aware that we were travel consultants who would recommend many visitors. After exploring the Cape of Good Hope we took the route heading towards Simon’s Town along the Indian Ocean. Along the route and between Simon’s Town and Cape Point we halted at Boulder’s Bay which has become world famous for its thriving colony of African Penguins and magnificent wind sheltered safe beaches. The name “Boulders” is derived from a cluster of large granite boulders breaking the coastline and providing numerous sheltered inlets and reefs. Traditionally, Boulders used to serve as a whaling station, a base for trek fishermen and a prisoner of war camp during the South African Anglo Boer War. The highlight undoubtedly are the 1500 plus penguins you see here including the African Penguin which is a vulnerable specie of Penguin today. Also known as the Jackass Penguin because of their donkey like braying, the numbers have plummeted over the years. Thereafter we had a photographic halt at Fish Hoek which is one of the safest and most pleasant beaches to sun bathe and swim. Our next halt was the Kirstenbosch Botanical Garden close to the city of Cape Town. Kirstenbosch is voted as one of the top seven Botanical Gardens in the world. Kirstenbosch National Botanical Garden is world-renowned for the beauty and diversity of the Cape flora it displays and for the magnificence of its setting against the eastern slopes of Table Mountain. We retired that evening completely exhausted and eagerly looking forward to the last phase of our stay in Cape Town.The next morning we were to do a full day tour of the Wine Route comprising of Stellenbosch, Franschoek and Paarl and more on the Wine Route will be covered in our next issue. Till such time I wish our readers a very Happy New Year and strongly recommend you to keep South Africa on top of your list of preferred destinations to see. 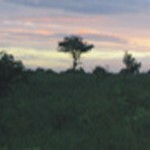 Our tour company COMPACT TRAVELS will prepare customized programmes for you to experience a holiday of a life time.